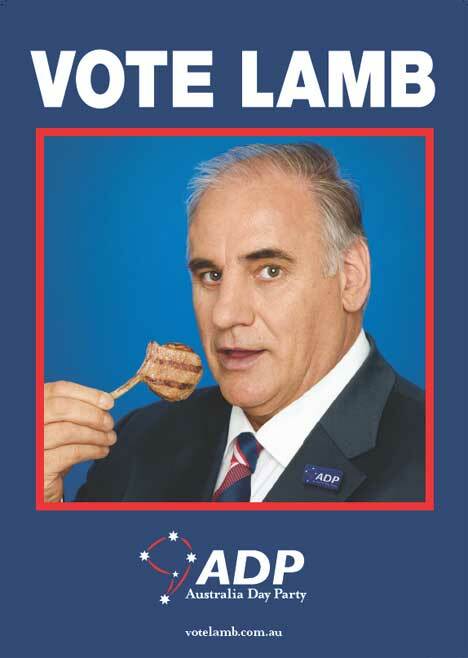 Sam Kekovich appears on Australian televisions tonight with a three-minute address to the nation, calling on people everywhere to choose lamb in this election year. The political platform – the Australia Day Party. Two posters are appearing in butchers throughout Australia, sponsored by Meat and Livestock Australia. 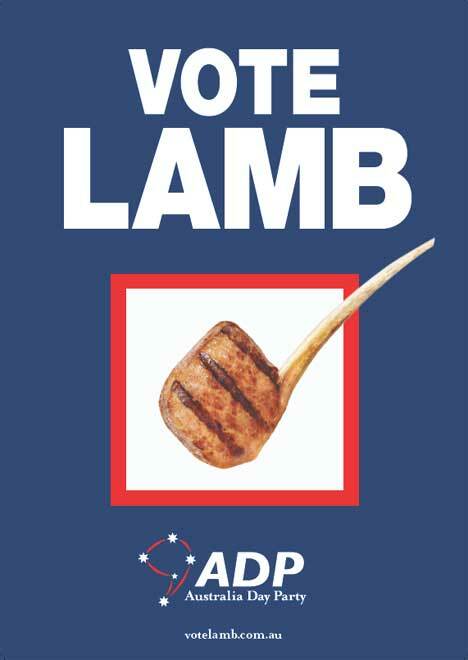 The campaign is the third Australia Day Lamb promotion from Sydney advertising agency BMF. See my post on the television campaign at here.